Burgi - ქალის ელეგანტური საათი ალმასის მარკერით. წყალგაუმტარი 30 მეტრ სიღრმეზე, კვარცის მექანიზმი. SMART DESIGN: Dazzle the crowd with a Beautiful and unique swirled case design with floating dial, Attract attention with the Lovely Unique Case with enamel filled bezel section. 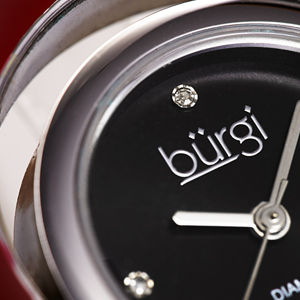 WOMEN’S DESIGNER WATCH: Burgi combines function with fashion to create a beautifully designed timepiece that never goes unnoticed with quality craftsmanship and luxe details, like Classic three hand timekeeping with four genuine diamond markers. IMPRESSIVE DURABILITY: Get a watch that guarantees long lasting performance and quality. Using a mineral crystal with hardening coating and 3 ATM water resistance (30 feet/100 meters) you’re ensured great durability. FASHION & COMFORT: The genuine patent leather bracelet strap is smooth and comfortable to wear while exuding a simplistic and minimalistic sense of fashion. The skinny strap is available in a choice of colors to fit your wardrobe. 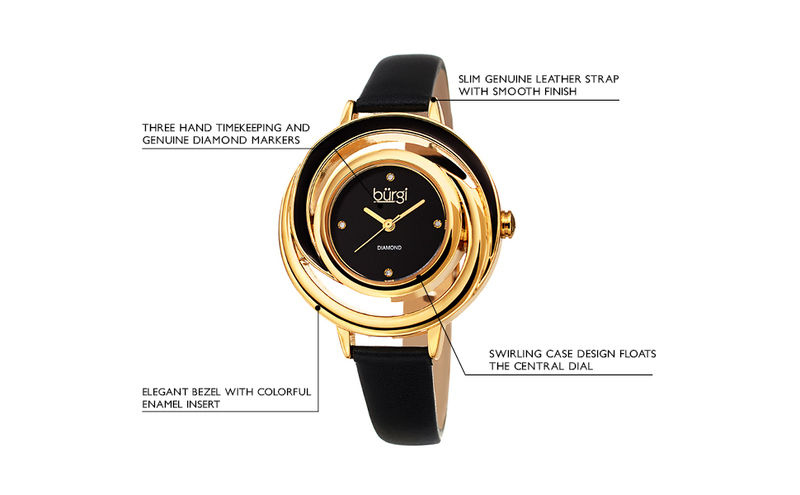 This Burgi timepiece features a unique case design that floats the main dial with two swirling whirlwind “arms” accented with colorful enamel. The simple yet elegant dial is adorned with four genuine diamond markers, and a precision quartz movement powers the classic three-hand timekeeping. 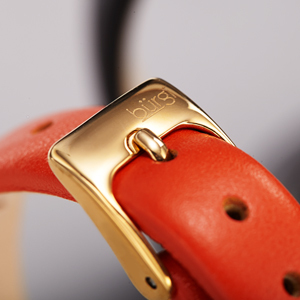 It is completed with a slim genuine leather strap. The simple yet elegant dial is adorned with four genuine diamond markers. 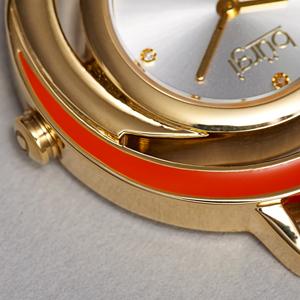 The bezel is set with a colorful enamel insert and floats the main dial. Colorful leather straps offer the perfect complement to any attire.